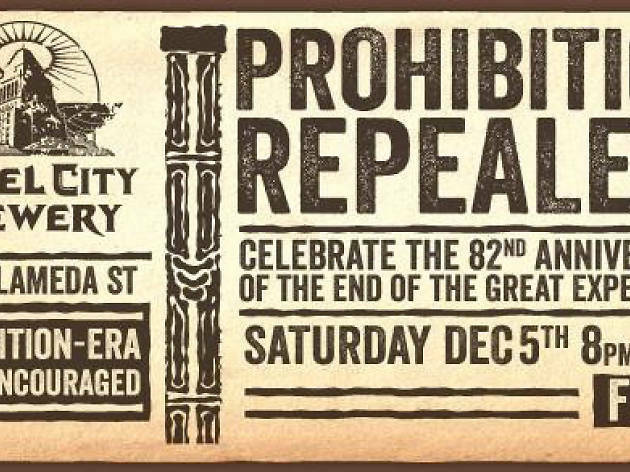 For one night only, the mezzanine lounge of Angel City Brewery will be transformed into a private speakeasy to celebrate the anniversary of the end of the Prohibition era. 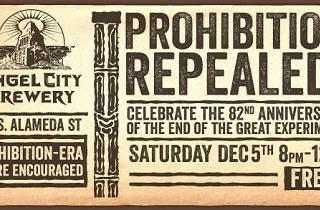 Don your best 1930's garb and head to the soiree where you will receive a complimentary drink upon arrival, and enjoy specialty flights of barrel aged beers, including a holiday beer, throughout the night. But, like any speakeasy during those dark and dry times, a password is required to be admitted, so be sure to follow the brewery on all social media channels for the magic word!